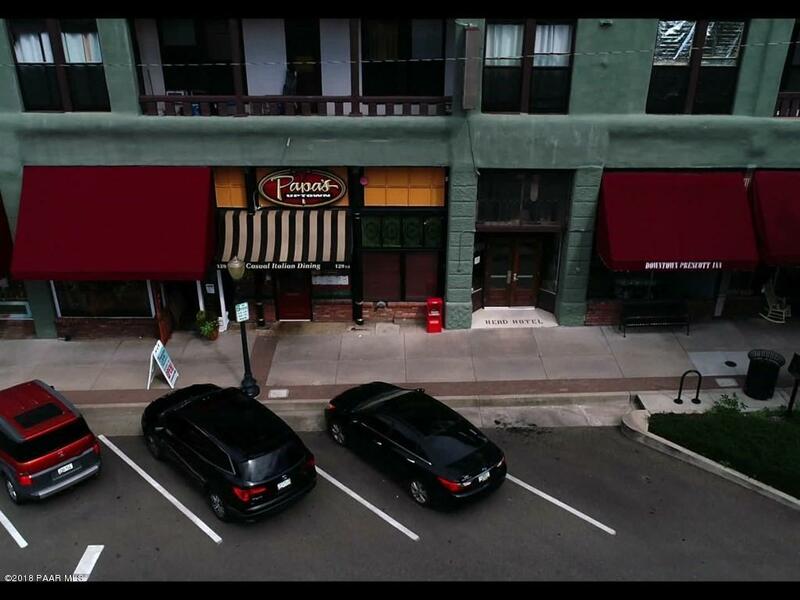 The Downtown Prescott Inn is a 56-room independent, limited service hotel. The property also includes a 3,000 sf commercial space currently operating as a full-service restaurant & bar that accommodates 125 seats. The entire property is being offered For Sale @ $3,495,000 (or $55,000/unit & $415,000 for the commercial restaurant lease offered at a 10 CAP). The property spans 3 floors totaling approx. 25,597 sf (sf to be confirmed by Buyer) and is elevator served. The main level consists of a large lobby/reception area, managers office, storage & mechanical rooms and Papa's Italian Restaurant. 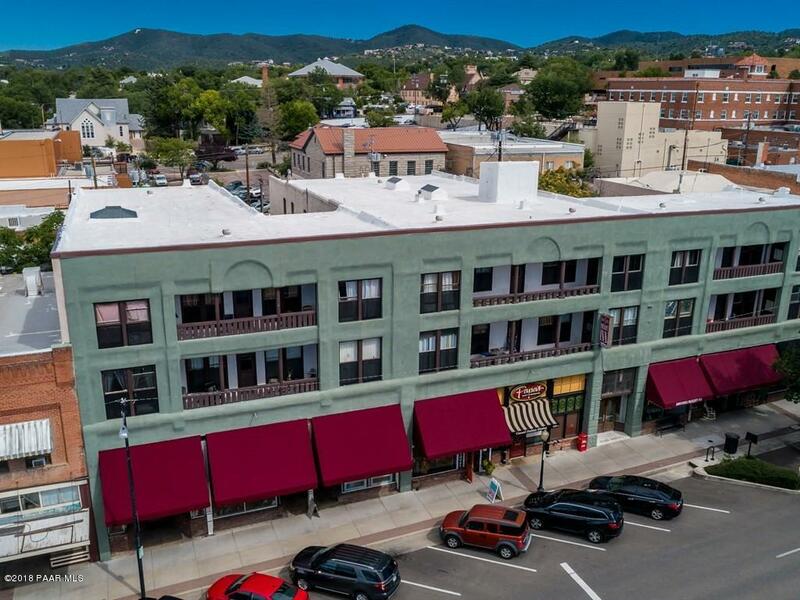 All 56 units are located on the second and third floors with 31 units having their own private bathroom and 25 units that share a total of 6 common bathrooms (3 bathrooms per floor) Click More Tab...The Downtown Prescott Inn is a 56-room independent, limited service hotel. The property also includes a 3,000 sf, commercial space currently operating as a full-service restaurant & bar that accommodates 125 seats. 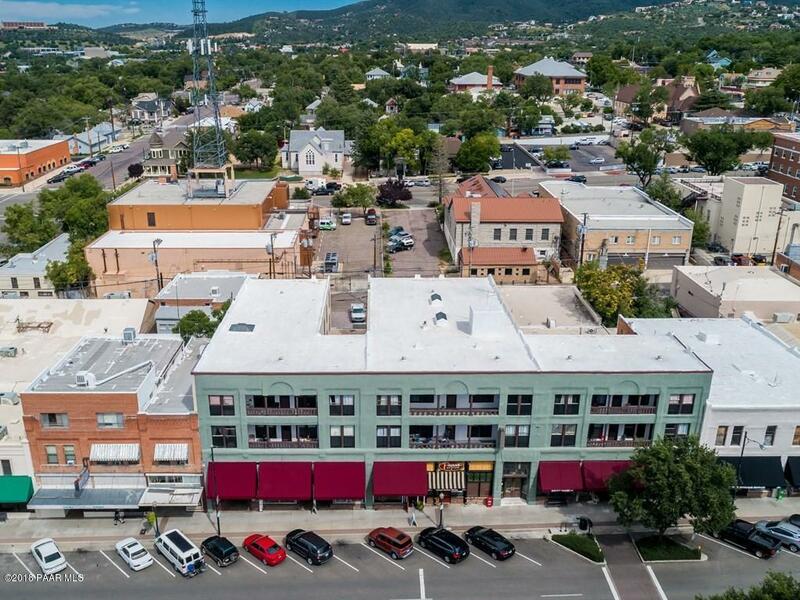 The entire property is being offered For Sale @ $3,495,000 (or $55,000/unit & $415,000 for the commercial restaurant lease offered at a 10 CAP). The property spans 3 floors totaling approx. 25,597 sf (sf to be confirmed by Buyer) and is elevator served. The main level consists of a large lobby/reception area, managers office, storage & mechanical rooms and Papa's Italian Restaurant. All 56 units are located on the second and third floors with 31 units having their own private bathroom and 25 units that share a total of 6 common bathrooms (3 bathrooms per floor) due to the nature of this property's historic design and configuration. All units are fully furnished and include a refrigerator, microwave, a sink, and TV with cable service. Units range in size from approx. 300 sf to 600 sf with a mix of both studio and 1 bed room units. All utilities including cable TV are included with the rent as well as weekly maid service. Property amenities include a guest coin operated laundry facility (newly purchased by the owner in 2018), shared balconies on selected units, and a full-service restaurant. The property currently operates as hybrid between an extended-stay hotel and apartment, offering daily, weekly, and monthly rentals. Guest rooms are typically leased on a monthly basis with security deposits and one month's rent paid in advance. Most patrons stay for more than one month at a time. Due to its high concentration of longer-term occupants, the property experiences lower turnover and greater operating efficiency compared to a traditional hotel operation. There is currently a waiting list for rooms at the property. Present room rates are below market. Other potential operating scenarios for this property include the following: upgraded traditional daily or weekly hotel operations, VRBO, assisted living, group home setting or traditional apartment complex. The restaurant space is currently leased to a third-party operator (Papa's Italian Restaurant). This tenant has occupied the space since 2012 and has exercised a 5-year option which will expire on 6/30/21. The improvements were originally constructed between 1901 and 1906, and have undergone various renovations, upgrades, and modernization over the past 110 years. In 2016, the property was update with new electrical service (600 amp), new life safety systems and fire sprinkler system throughout. 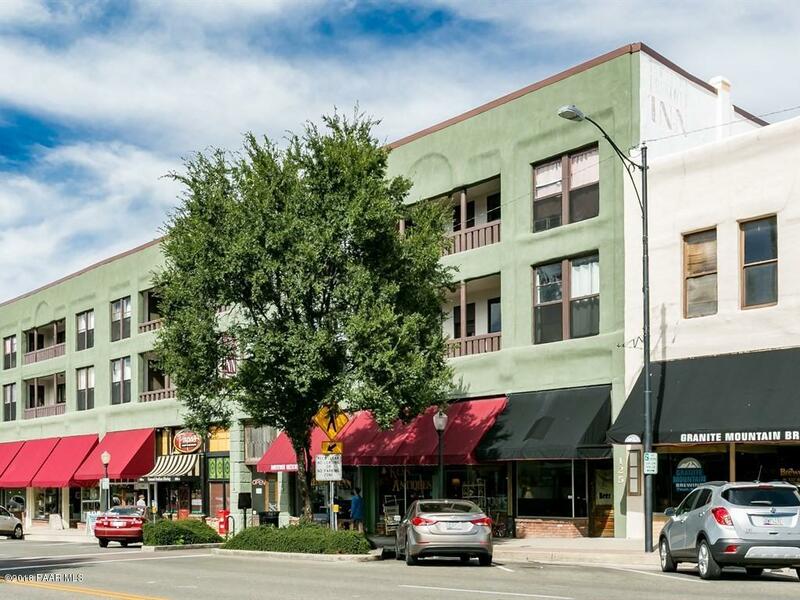 The property is situated on a 7,154-square-foot building envelope with frontage along Cortez Street. The site is rectangular in shape at ground level; however, the second and third floors are constructed in air space and offer "air rights" above the first floor of two adjoining properties (Lots 8, 10, and 12). The site area for the air rights space is 11,141 square feet. All information to be confirmed by buyer.